For specialty plate, mill plate, rings, discs, tubesheets, special cut shapes and cut bar products, G.O. Carlson’s ability to fulfill customers’ needs is second to none. 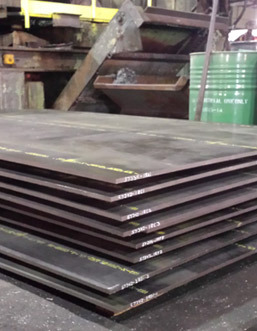 With capabilities for all phases of rough and finished machining, plasma-arc cutting, water jet cutting, shearing, grinding and flattening, and heat treating, G.O. Carlson can satisfy almost any request. And all products are melted, rolled and manufactured in the USA. From 3/16" through 10" in thickness. Up to 126" wide and in lengths to 480" and longer.